Guest post by Gabriel Spadaccini. Listening to Lawrence for the first time, it’s easy to feel as though someone has scooped you up and dropped you back down again in that last, joyous scene at the end of every romantic comedy film. We all know that scene. In the film’s not-so-distant past, something’s gone wrong, but not irreparably so, and thus the last scene is always a reunion, renewal. These scenes make you feel warm inside. They’re the reason we go to see movies. Lawrence’s music is all the enchantment of witnessing that full spectrum of human emotion, projected onto a big theatre screen in dazzling Technicolor. At heart, the band centers around Clyde and Gracie Lawrence, siblings who have achieved no small miracle in co-writing bright, animated, soul-tinged pop. Originally from New York, both were former child stars of sorts, Clyde for his work on film scores, Gracie for her acting on Broadway, in films and on television. Their debut full-length album, Breakfast (released independently in March 2016), reflects a universally adored collection of influences, from the Beatles, Randy Newman, and Etta James to more recent stars like Beyoncé, Ben Folds, and Amy Winehouse. Driven by charismatic piano, guitar, trumpet, and sax riffs aplenty, the project delivers heartfelt and impressively developed songs on a variety of moods and themes. Easily the most gratifying aspect, however, is the interplay between the siblings’ equally honed vocals. Their vocal trade-offs shine, if for no other reason, than because the two are so obviously on exactly the same mental and musical wavelength. In its current incarnation, Lawrence is a tuned-and-ready touring band, with countless shows under their belt, appearing everywhere from sweaty fraternity lawn parties to upscale New York City soirees. Something about their sound, it seems, lends itself to both. They have a presence and musicianship that calls to mind some of the most beloved soul, funk, and R&B artists of all time, and enough clean, self-aware songwriting to feel a stone’s throw from pop/rock favorites like Eric Hutchinson or Room For Squares-era John Mayer. Ahead of their Friday evening performance at the second annual Rootfire At The Park, we caught up with the siblings to talk about barnyard bashes in Iowa, growing up liking their parents’ music, and why Chance the Rapper’s mixtapes had a major impact on their forthcoming sophomore album. ROOTFIRE: Awesome to talk you both! How are you guys doing today? GRACIE LAWRENCE: We’re good! We’re just rehearsing for some shows, running through our new album. RF: Right off the bat with an announcement, huh? CLYDE LAWRENCE: Yep – it’ll be out early next year. So we’re just now going through it with the whole band to really tighten up the arrangements. RF: The band has toured all across the United States, playing shows everywhere from college events to massive music festivals – do either of you have any favorites? GL: I mean, we’re from New York City, so whenever we play at home it’s super fun, and because we grew up going to some of those venues, it’s almost more sentimental. We played a show at this thing called SummerStage, which is this event in Central Park, and it was on our block, so that was the coolest thing ever. That kind of moment really resonates with me because I grew up going to those. CL: But then again, the hometown shows are meaningful because they’re familiar, but there are also ones that are great because they’re totally foreign experiences. Like, last year our big Fourth of July party was in a random barn in Iowa, and that was a ton of fun. RF: You might have to elaborate on that barn in Iowa – I’m really curious about that. GL: I think it’s this huge private property farm that this one woman owns, and she went ahead and made a legit venue out of it. She gets huge names to play there – KT Tunstall was the headliner after we played. GL: There’s no service there either. You take quite the journey to get there, and then it’s totally out in the middle of nowhere. CL: Everyone in all the bands parks their buses there, and they have these huge parties in the farmhouse. You look around and there are just cows as far as you can see. We were all partying in the basement of this farmhouse for all of Fourth of July weekend. Totally wild. RF: That’s the kind of thing you might see in a country music video, but you don’t know if it actually occurs in real life. GL: Totally! [Laughs] We partied really hard that night. RF: I know you both went to college in Providence – do you think the culture and music scene of that city impacted the sound of your debut album? CL: I think that Providence helped our band start to grow musically, specifically in terms of playing venues. We played the same couple venues around town so much that we started to build a relationship with the scene. And there’s no question that being a “college band” definitely had a concrete influence on our sound, because it’s all about high energy, roughness around the edges and focus on a great performance. GL: To clarify, I was actually in high school when Clyde was in college at Brown with all the guys [in Lawrence]. I went to Brown for a year and a week. [Laughs] I used to visit Providence all the time, and even as an outsider, I could really see a big rock music culture going on in that city. CL: If anything, we weren’t the “Providence sound.” Providence, in a very broad strokes kind of way, has a real kind of rock music base. And as a sort of, like, happy soul band, we felt like we were bringing a different flavor to the Providence sound. It pushed us to make sure we were bringing the energy. GL: At this point, although we started in Providence, we consider ourselves a New York-based band, because we grew up here, and Clyde and I played our first gigs here. RF: Going back to Breakfast, I think the question on people’s minds regarding that album is: what are the albums and artists you both were listening to in creating that body of work? CL: So, Gracie and I wrote all the music, so obviously all of the sounds on it are coming from the other music that we’re inspired by. And the songs were definitely written over a long period of time. There are songs on that album that I actually wrote when I was in early high school, so years before the album came out. A big mantra of ours as we were going through the record was combining old and new references. We’ve always been huge fans of people like Stevie Wonder, Randy Newman, the Jackson 5, and the Beatles. GL: But then also artists like Amy Winehouse, and Beyoncé, and Bruno Mars. GL: But at the same time, we would also listen to some of the pop music that was coming out at the time and appreciate that as well. CL: Actually one thing we do at our live shows is take songs from Britney Spears, Nelly, Sean Paul, Christina Aguilera, and we play them in the style of that older generation. Like a meeting of those two worlds. CL: We’re actually going to be coming out with a new one in the next couple weeks. By the time we actually play at Rootfire At The Park we’ll have another video of a cover out. RF: Those are the songs that get people riled up, for sure. CL: Yep, we’re really excited. And we saw that Rootfire’s donating the proceeds to hurricane relief, so that’s awesome to be a part of. RF: If you put together your dream festival, and you had complete control over the lineup, who would be on the bill? CL: You’d have to get Stevie Wonder in there. CL: Ringo headlining. [Laughs] I mean, we’ve actually had the opportunity to play with a lot of bands who’d be on our dream lineup. We’re big fans of Vulfpeck – they put on an amazing live show. GL: And we just opened for Lake Street Dive on tour over the Summer. CL: Allen Stone is another one of my favorite singer-songwriters. Bands that we’ve gone on tour with . . . they’d be in there for sure. GL: Plus Beyoncé, Amy Winehouse. CL: I think the best way to sum it up is: we got to play at Okeechobee earlier this year, and we were in sort of the “super jam” aspect of the festival. The band consisted of Michael McDonald, several members of Snarky Puppy, several members of Vulfpeck, Eric Krasno, us, Gallant, Allen Stone, and Solange. That was pretty much a dream lineup all in one band. RF: I’ve heard so much about Okeechobee as a festival – supposed to be amazing. CL: This past year, it was such a great lineup. They had all those people we just mentioned, and then people like Anderson.Paak, who’s one of our favorites, and Jacob Collier, who’s one of the most brilliant musical minds ever. Oh, unrelated but . . . you know who we didn’t name in all these conversations about our favorite artists? Chance the Rapper. He’s a massive influence. RF: It’s funny you should say that because there definitely are pieces of songs on Breakfast – little vocal sections from you, Grace, or short instrumental parts – that immediately reminded me of the vibe on Coloring Book. CL: Well, our album came out first. [Laughs] No but, we’ve been listening to a ton of Chance, so if you think our last album has a Chance sort of influence to it, no doubt the new one has been heavily inspired by how much we love his stuff. If you like Breakfast, and you like Chance the Rapper, then you’ll love our new stuff. RF: When did you say we could expect the next album, early 2018? GL: Yeah, early in 2018. And we’ll be coming out with a couple music videos before then. RF: Thanks for taking the time guys. See you both at Rootfire at the Park. 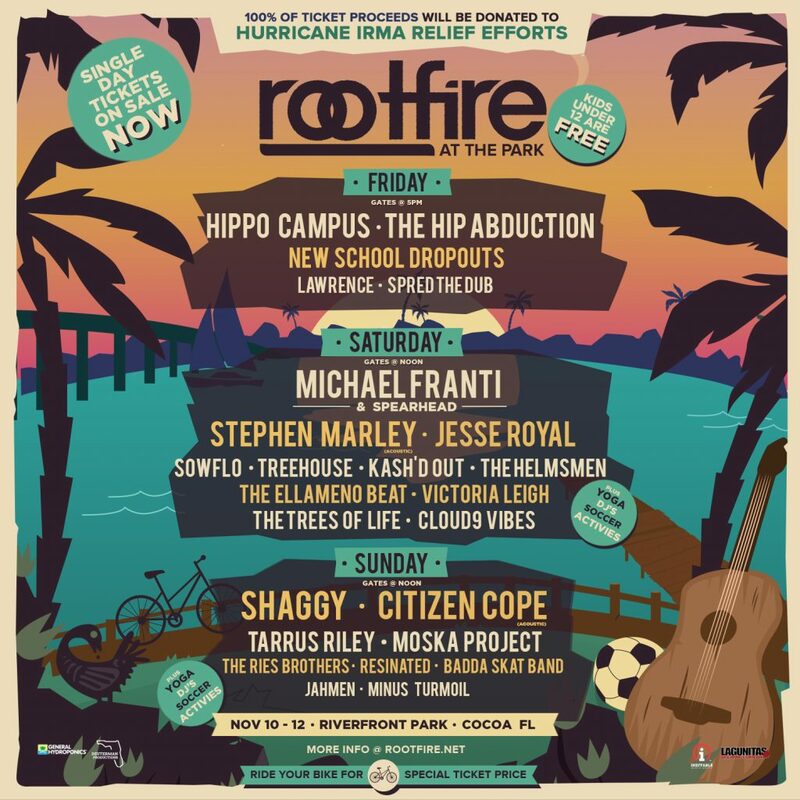 Lawrence will be appearing Friday, Nov 10 at the second annual Rootfire At The Park in Cocoa, FL. VIP passes and single day tickets are available HERE. Gabriel is a writer/photographer from North Beach, New Jersey. 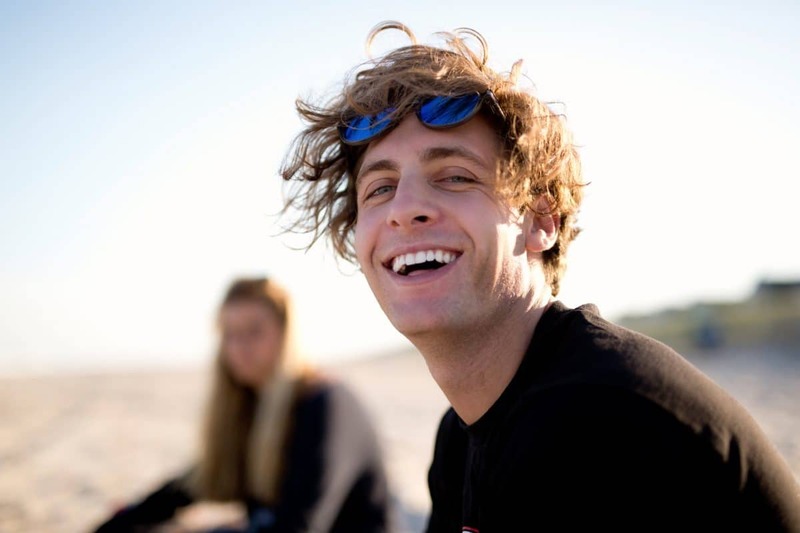 He studied abroad at the University of New South Wales in Sydney during the Spring of his junior year at Georgetown and hasn't shut up about it since. He thinks 'Unlock the Swag' by Rae Sremmurd is the single greatest song ever recorded and listens to it several times a day. Ask him about his time on tour with Lil Pump.